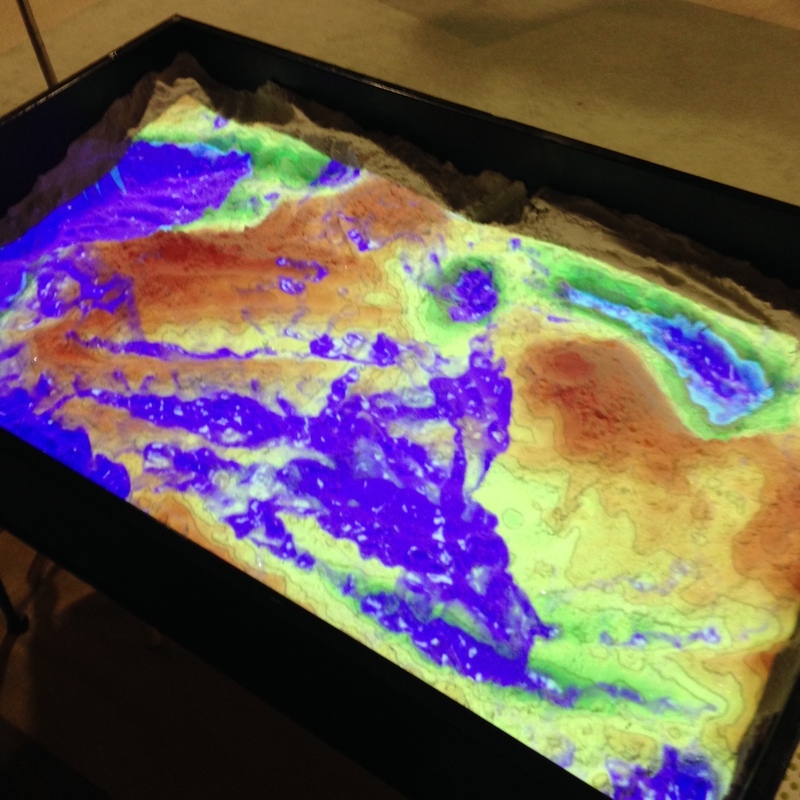 Our Augmented Reality Sandbox is an interactive topographical map. Children and adults alike enjoying creating white-capped mountains and deep blue basins while learning how our landscape shapes our lives. ...and explore the influence of our lands' layout.